Embraer announced today that Azul Brazilian Airlines, the largest operator of the E195s current-generation in the world, will be the launch operator of the E195-E2. Azul’s contract with Embraer is for up to 50 aircraft, being 30 firm orders and 20 purchase rights. Currently, the Brazilian airline has a total of 73 E-Jets in service. 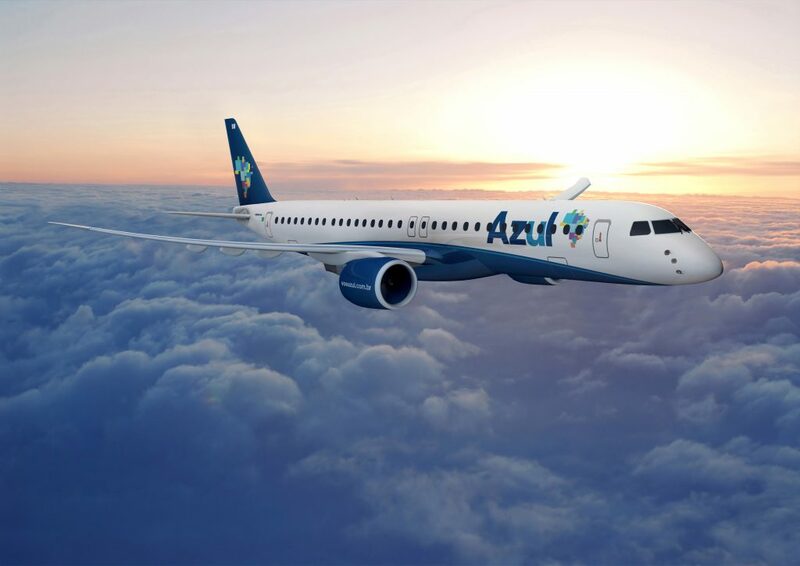 The E195-E2s will be configured by Azul in a comfortable single-class layout with 130 seats and the aircraft will entry into service with the airline in the first half of 2019. The E-Jets E2 backlog has 275 firm orders, in addition to Letters of Intent, options and purchase rights covering another 415 aircraft, totaling 690 commitments from airlines and leasing companies. Embraer is the world’s leading manufacturer of commercial jets with up to 130+ seats. The Company has 100 customers from all over the world operating the ERJ and the E-Jet families of aircraft. For the E-Jets program alone, Embraer has logged more than 1,700 orders and over 1,300 deliveries, redefining the traditional concept of regional aircraft by operating across a broad range of business applications.